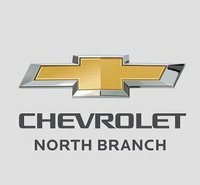 Sorry, we couldn't find any North Branch Chevrolet listings that matched your search criteria. I was grateful this dealer responded quickly when the car was sold. Dealt with Erik and Bryan. Everything was ready when we got there to pick up the vehicle. Got a wonderful warranty. Couldn't be happier. Would recommend to anyone. Good response, Car is priced too high. Very nice people! Like them a lot!